My Life in Books Catch Up? 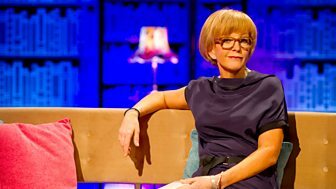 Anne Robinson invites well-known personalities to discuss their favourite books. The art world's favourite nun Sister Wendy Beckett and flamboyant designer Laurence Llewelyn-Bowen join Anne Robinson to talk about the books that have shaped their lives. Anne Robinson is joined by chef Rick Stein and actor Fiona Shaw, who pick their favourite books and discuss why they have been important to them throughout their lives. Anne Robinson is joined by actress Sharon Gless and BBC business editor Robert Peston, who discuss their favourite books and why they are important to them. Anne Robinson is joined by Alexandra Shulman, editor of British Vogue, and actor Keith Allen, who discuss their favourite books and why they have been important to them. Anne Robinson is joined by actor Phil Davis and journalist Rosie Boycott, who pick their favourite books and discuss why they have been important to them throughout their lives. Anne Robinson is joined by Kate Silverton and Chris Addison, who pick their favourite books and discuss why they have been important to them throughout their lives. 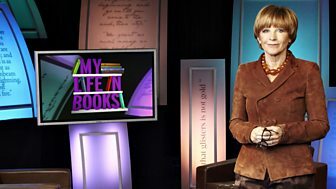 Anne Robinson is joined by poet Pam Ayres and actor Don Warrington, who pick their favourite books and discuss why they have been important to them throughout their lives. Anne talks books with lyricist Tim Rice and Strictly star Russell Grant. Tim reveals what his next musical venture is going to be and Russell shares his love of Middlesex. Anne is joined by actress Anna Chancellor and designer Nicky Haslam who share their favourite books and discuss why they have been important to them in their lives. Anne Robinson is joined by actress Natascha McElhone and presenter Chris Hollins, who share their favourite books and discuss why they have been important to them in their lives. Anne Robinson talks to Pamela Stephenson and Alexander Armstrong. They share their favourite books and discuss why they have been important to them in their lives.